(1) The hammer is installed incorrectly in the inspection and assembly. 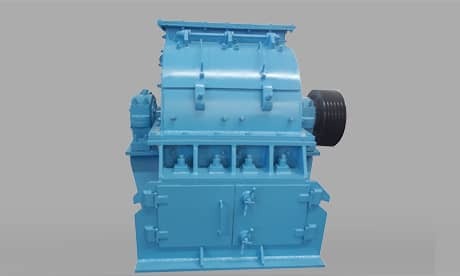 When the hammer piece is turned over, in order to prevent the weight of the rotor from being out of balance, all the hammers in the crusher must be turned around in the same direction, otherwise strong vibration will occur during operation. (2) The difference between the weights of the two sets of hammers exceeds 5 grams. The method of elimination is to adjust the weight of the hammer so that the difference between the two groups of weights is less than 5 grams. (3) The individual hammer cards are too tight and do not dry during operation. After stopping, you can turn it by hand and find a way to make the hammer rotate flexibly. (4) The weight of other parts on the rotor is not balanced. In this case, it is necessary to carefully check the adjustment balance. (5) The spindle is bent and deformed. The solution is to straighten or replace. (6) The bearing clearance exceeds the limit or is damaged. It is generally necessary to use updated bearings to solve the problem. Next Article: How to Adjust the Size of the Product Granularity of Jaw Crusher?